What I love about Slender Kitchen Meal Plans (affiliate link) is that I don’t have to spend time figuring it out. I just want someone else to tell me what to cook. I print out the grocery list, do the shopping and when it’s time, head into the kitchen and get right to cooking! 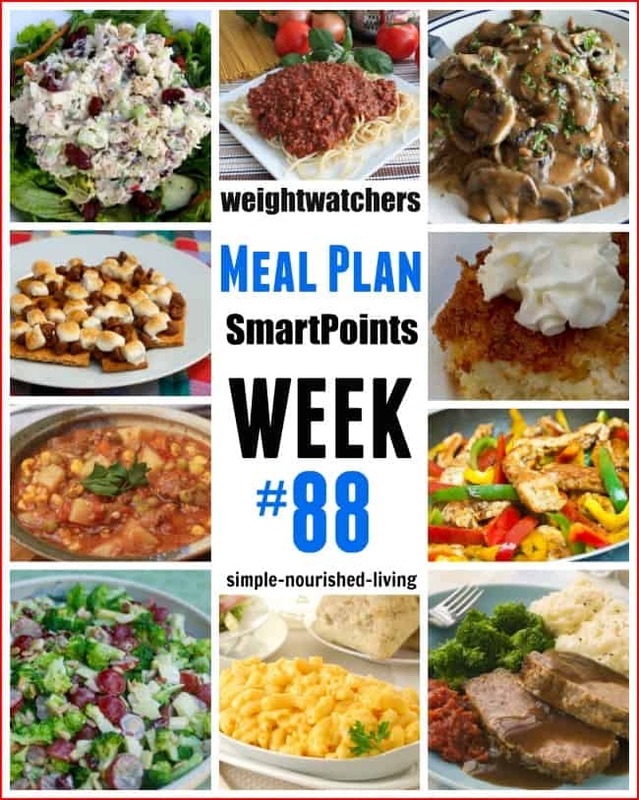 For those of us following Weight Watchers, having meal plans with the Freestyle SmartPoints included can make the switch easier and less stressful. Lunch is usually leftovers or some combination of soup / sandwich / salad. 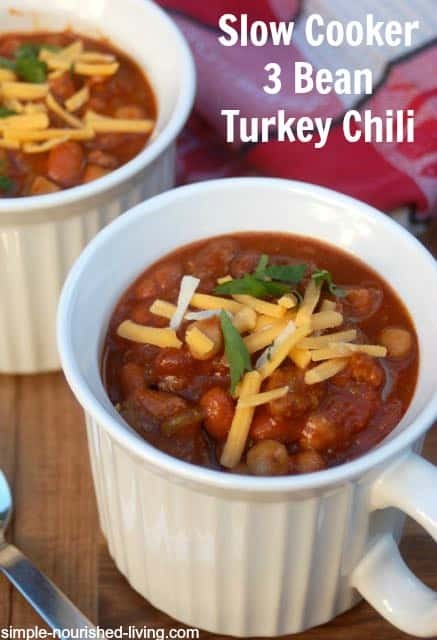 This week I plan to make a batch of Slow Cooker 3 Bean Turkey Sausage Chili (2SP) to enjoy all week for quick and easy lunches. That’s when Kristen’s Magical Meal Plans come to the rescue. With a couple of clicks I can download the plan, grocery list and recipes and I’m ready to go with minimal effort. My Month of Meal Plans eBook. “Hi Martha – I cannot begin to thank you enough for my month of meals. We (my husband and I) have only had the first week, but WOW, what great meals! I can’t wait for the second week. You have a customer for life!” ~Sharon S.
“I bought the 12 Week eCookbook and Meal Planner by Alisha Hughes from Meal Planning Mommies. It is great 12 weeks with a shopping list which is wonderful. I just make a copy of the list and go shopping for the week.” – Roberta R.
ON 2/19/18 I paid $2997 for several of your ebooks but only received the one about journaling, drinking water, etc. I only noticed it today because my computer has not been able to print until today. I really wanted the various recipes you offered, etc. HELP!! We are happy to help. Once we confirm your order, we will re-send all the ebooks to you. Martha, how do you access your meal plans? For the life of me I cannot figure out how to access them. There are only pictures of your Week #88, etc. but no links to what you’re suggesting for the week. Also, I don’t want the Slender Kitchen meal plans, I signed up for yours.